From the outset of his professional career, Andrew Bart has been a tech entrepreneur. Starting in 2001, during the early stage startup phase of iCrossing, a leading global digital search agency that in June of 2010 sold to Hearst Corporation for over $325 million, Andrew was involved in strategic business development with the Fortune 1000. While at iCrossing, Andrew founded and incubated The Carefree Pet, a holistic and natural pet product ecommerce site. On the backend of the site, Andrew developed a proprietary inventory and supply chain management platform that featured complex product pairing tools and lead generation structure for driving sophisticated sales up the supply chain to wholesalers, distributors, and online pet stores seeking a dropship partner. In 2009, in a private sale, Andrew sold the technology assets of The Carefree Pet to a global pet product manufacturer with operations in the US, China, Russia, and Australia. In 2003, Andrew founded Pop Results a boutique seo and digital media marketing firm. In 2012, Andrew pivoted the business into an inbound marketing agency that focuses on building inbound marketing campaigns for startups and small to medium sized businesses. The company offers a wide array of digital marketing services including but not limited to inbound, content, seo, paid media, social, and video. Also, since 2011, Andrew has been serving as a tech intrepreneur at iAcquire, an enterprise level content marketing agency in a Director, Growth Strategy role. Andrew oversaw the incubation and development to scale of the editorial content marketing department as well as the premium content division which ultimately led to the creation of ClearVoice a world class SaaS platform for content marketing. Andrew serves as an angel investor and growth strategy consultant for ClearVoice. 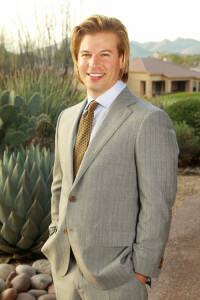 Andrew is member of the Arizona Tech Council. He is also a member of SEMPO, the global non-profit trade organization serving the search and digital marketing industry. In 2014, Andrew founded SEMPO San Diego, the local chapter of SEMPO. To learn more about Andrew Bart and his experiences as a tech entrepreneur, please complete the form on this page.